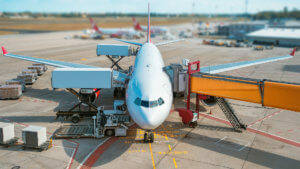 Ukraine’s Infrastructure Ministry believes that concession of regional airports is promising, Minister Volodymyr Omelyan has said. “Projects in the airport industry… we are now also preparing those regional airports that either work with low load rates or are only planning to resume operations. We believe that they may also be interesting for the concession,” the minister said on the sidelines of the government meeting on Wednesday. According to him, in the future, the Infrastructure Ministry is ready to give other facilities to concession. As reported, earlier the Finance Ministry approved the preliminary feasibility study of the concession of state-owned enterprise Yuzhny Maritime Merchandise Port. 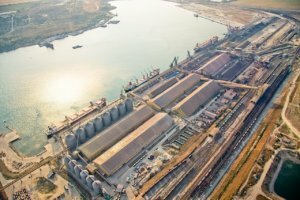 TIS Port (the stevedoring company operating in Yuzhny port, Odesa region) allows participation in the concession of Yuzhny port if the necessary law is adopted. “Yes, it is quite possible that it will be Yuzhny port,” co-owner and CEO of TIS Andriy Stavnitser said in an interview with Interfax-Ukraine. Speaking about smaller ports, he noted that, in his opinion, Ukraine does not need as many ports, and some of them can be closed, and some can be reformatted. “Kherson, Izmail, Bilhorod-Dnistrovsky – there could be tourist zones, yacht clubs there, for example, which would bring revenues but not losses to the state,” Stavnitser said. Asked about the considerations on the basis of which Kherson and Olvia ports were made pilot for concession, he noted that it is probably more visible for the Ministry of Infrastructure, but stressed that TIS won’t participate in any of these concessions. “Not because we are so big, deep-water and do not notice anything else around. There are simply ports whose maintenance costs the state more than profits from them,” Stavnitser summed up. As reported, the Verkhovna Rada adopted as a basis bill No. 8125 on concession. 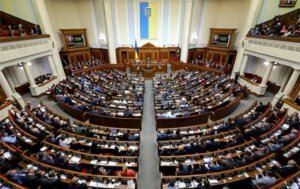 Ukraine’s Verkhovna Rada has passed at first reading bill No. 8125 on concession. A total of 240 lawmakers backed the document on Tuesday. Head of the parliamentary committee for the economic policy Andriy Ivanchuk said that the bill divides regulation of concession and other forms of public private partnership, relaxes the rules of allocating land parcels for concession projects, sets the unified rules of making decisions for all types of public private partnership, including concession. The ownership right to the facility under concession is left to the territorial community, he said.